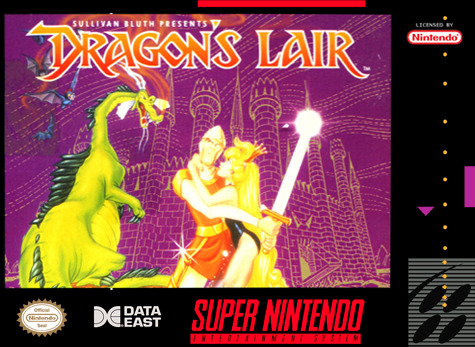 Dragon's Lair for Super Nintendo has you play as heroic knight Dirk the Daring as he journeys to a mysterious castle filled with danger, in order to save the fair Princess Daphne from the forces of evil. You'll take Dirk through more than 20 fully animated scenes of dangerous enemies and tricky traps. It takes fast reflexes and a good memory to remember the safe way through each section of the deadly castle.